First things first: No one is saying that there is a slam dunk case of agent interference in the recruitment of Cyrus Kouandjio. The standout Offensive Lineman caused quite a stir on National Signing Day when he blurted out that he would be attending Auburn University on Wednesday morning, then quickly backtracked and said he “had doubts” and was reconsidering. That led crack internet sleuth and blogger Blue Tuna Tiger to do some digging, and what he found appears to be a troubling connection between Kouandjio’s High School Coach, Bill McGregor, and a representative of Cam Newton’s agent’s firm, Perennial Sports & Entertainment. DeMatha Catholic High School is a college preparatory institution located in Hyattsville, MD. Rich in tradition, it offers to young men in the Washington DC area a college preparatory program in which faith and knowledge complement each other. A faculty and staff composed of Trinitarian religious and dedicated lay-men and women provide a program of instruction that serves young men of varied intellectual, religious, cultural and economic backgrounds. The Trinitarian charism that informs DeMatha asks that students become “men of action, men of prayer.” (DeMatha Mission Statement). The football program continues to be directed by long time Head Coach Bill McGregor, which in 2004 was awarded the NFL High School Coach of the Year. Famous players from DeMatha include Philadelphia Eagles running back Brian Westbrook, Quinn Ojinnaka of the Atlanta Falcons, John Owens and Josh Wilson of the Seattle Seahawks, Derek Wake of the Miami Dolphins, and Edwin Williams of the Washington Redskins. There is another name recently in the spotlight that has membership to the DeMatha “Hall of Fame” – 1980 Graduate and all-star fullback, Tony Paige. That’s right, the same Tony Paige that acts as agent for Cecil Newton, Jr., brother of Heisman trophy winner Cam Newton, and the same Tony Paige of Perennial Sports and Entertainment which now lists Cam as one of it’s top clients. · The Grassroots Youth Football League was founded to produce and nurture exceptional, elite Student athletes in the Baltimore/Washington DC Metropolitan areas. The advisory board consists of several former professional players, coaches, and media personalities including Maryland Senator Doug Peters, DeMatha Coach Bill McGregor, as well as Perennial’s Tony Paige. What’s interesting is the fact that Senator Peters also serves on DeMatha’s Advisory Board. Under Armor is one of the organization’s foundation sponsors. – More on that later. · In 2007, Jamie King attempted to launch a “Complete Sports Prep and Recruiting Operation” known as Coach Files. Modeled very much like GYFL, McGregor was to serve director of recruitment. Recruitment? What is being recruited and for what purpose? Here is a “YouTube” link where McGregor describes in great detail the goals and operations. Coach Files. The organization never materialized, but with a little help from researchers, I was able to recover the archived website, minus photographs. Coincidence you say? Maybe. But if that is your conclusion, ask yourself why coach McGregor has suddenly thrust himself into the role of handler? More directly, has he always acted in this role behind the scenes? If the latter is in fact true, it seems the line distinguishing amateurism and professional contact is becoming quickly blurred. Go read Blue’s entire post. It’s well worth the time and the cup of coffee you’ll spend following his lead. The controversy surrounding the recruitment of Cam Newton led to an ongoing NCAA Enforcement investigation, and there is considerable evidence of a much larger, much deeper issue surrounding how the athletic program is being run at the SEC’s Loneliest Village. Auburn supporters have been running around teh innerwebs since November 4, screaming “COINCIDENCE!” and accusing bloggers like myself, Blue and SportsbyBrooks of orchestrating an effort to smear their beloved program. But coincidence following coincidence following yet another shocking coincidence should make even the most skeptical observer take pause. There are too many of the same names showing up in too many unusual places. College football fans—regardless of allegiance—have to be deeply concerned over the path our cherished sport is following. From the Reggie Bush fiasco at USC, to the AgentGate scandal at North Carolina, to the ongoing issues at Auburn, what was once an emblem of amateurism and integrity is becoming a system that’s so corrupted that the FBI has looked at it as a potential violation of human trafficking statutes. Metaphorically speaking, someone should be made to serve as an example. The guilty party should be arrested, summarily convicted (in a fair trial, of course) and then taken out and shot. The 1st post should have sent the d.a. detector off the chart.The UAT(University of Aubren Tigers) overkill reference is unexpected coming from a barnhole poster. So let me get this straight: The kid clearly wants to go to Auburn but his dad and all the "well-intentioned" folks in Tuscaloosa are pressuring him to go to Alabama (a.k.a. 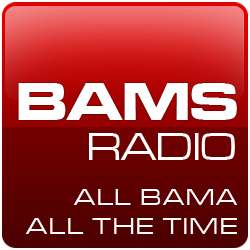 Agent-bama), and an Alabama website is now spreading rumors about agent involvement to try and make Auburn look like the bad guys? Nice try on that one. This post made for a great laugh. 1). Blue Tuna is not a Bama fan. 2). The Kouandjio kid hadn't slept for three days, he was clearly a nervous wreck on ESPNU and blurted out the wrong school name at his announcement event. Within minutes, he was backtracking. 3). The NCAA Enforcement staff and the FBI are still investigating the University of Auburn and the Tony Paige - Bill McGregor connection set off alarms in Indianapolis. If you tools haven't already made the trip to Wal-Mart to get your picture taken with the crystal ball, you might better hurry.